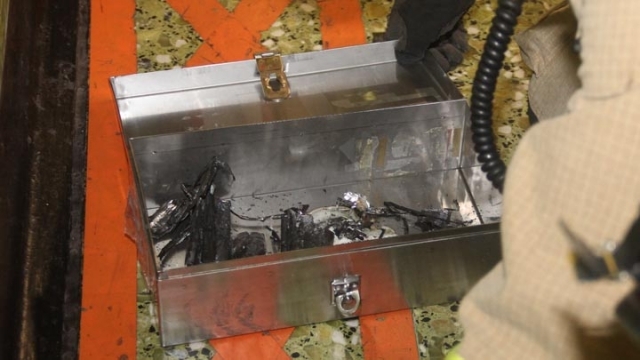 A short circuit in a mobile phone charger has been blamed for a fire that tore through a flat in a Kwun Tong public housing estate early on Monday morning. 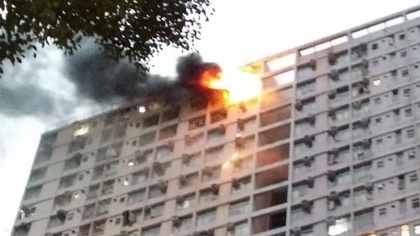 The Fire Services Department received a call about the fire at 6:43am after neighbours saw smoke rising from the 26th floor flat in Tsui Cheung House, Tsui Ping North Estate. An air conditioner later caught fire and fell to the ground. 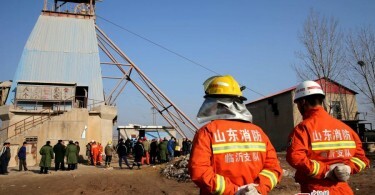 A 38-year-old woman was sent to the United Christian Hospital after suffering from smoke inhalation, Apple Daily reported. Dozens of other residents were evacuated from their homes. An air conditioner caught fire and fell to the ground in Tsui Ping (North) Estate. Photo: Apple Daily. 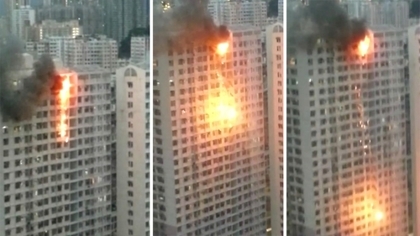 The Fire Services Department said results of initial investigations showed that a portable phone charger in the apartment had overheated and a short circuit in the device was responsible the fire, Ming Pao reported. Burnt portable phone charger at Wan Chai station. Photo: Apple Daily. 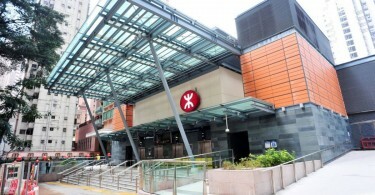 On Sunday night, fumes and sparks were emitted by a phone charger on a platform at Wan Chai MTR station, Apple Daily reported.